GYTC8S－>OPTICAL FIBER CABLE > OPTICAL FIBER > Riselink Communication Cable Co.,Ltd. 3. 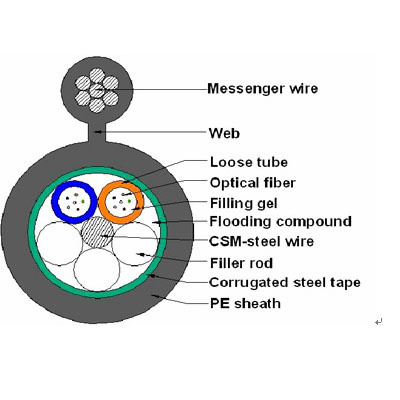 The armoring of corrugated steel tape makes cable have nice moisture resistance and crush resistance performance. 4. Small cable diameter, light cable weight, self-supporting, easily to install.